What are we to believe? We have access to more information than we have time to absorb and it is becoming increasingly difficult to navigate independently through this giant reservoir. How do we get to the information that is relevant and important to us? There is a growing desire for filters to help us understand what is happening in the world around us: filters to provide useful context, parameters and a grip on the endless flow of data. FOTODOK and Fred Ritchin asked ED to look at Ritchin’s selected best practices and to analyse them based on their ‘frame-bending’ qualities. ED formulated eight terms – ethics, realness, collectivity, use, beauty, process, immediacy, presence – which they use to filter information, generating a better understanding of international documentary practices and their meaning. Combining their knowledge, professional experience and personal judgment, the collective will explore new possibilities for documentary photography. 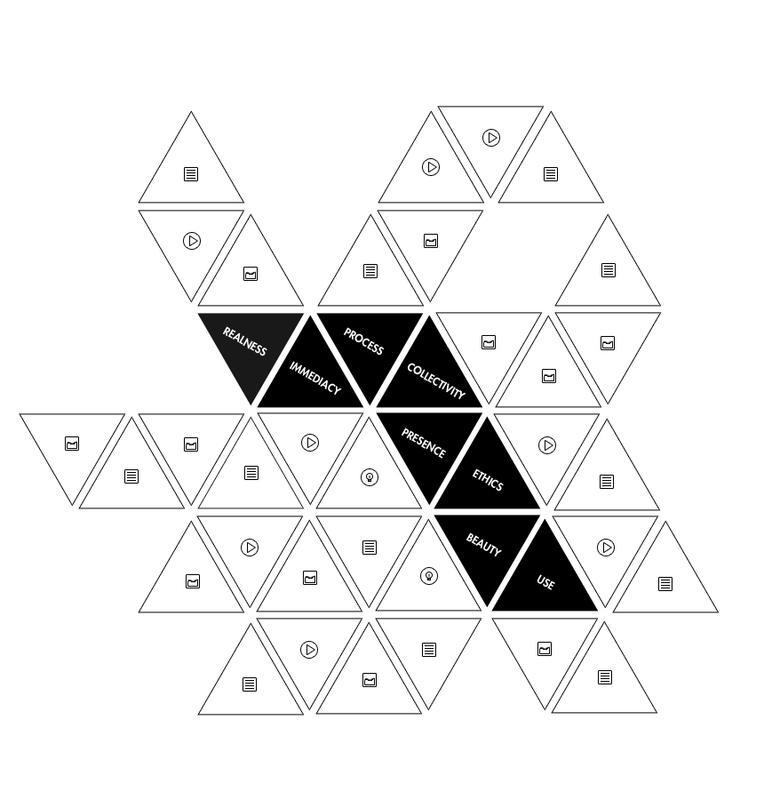 ED called it the OCTAGON – a polygon that has eight sides, matching the eight selected terms. Sides which give different filtered perspectives on contemporary photography. ED is eager to investigate these sides and share their discoveries.